This weekend was our first 3 day show ever. 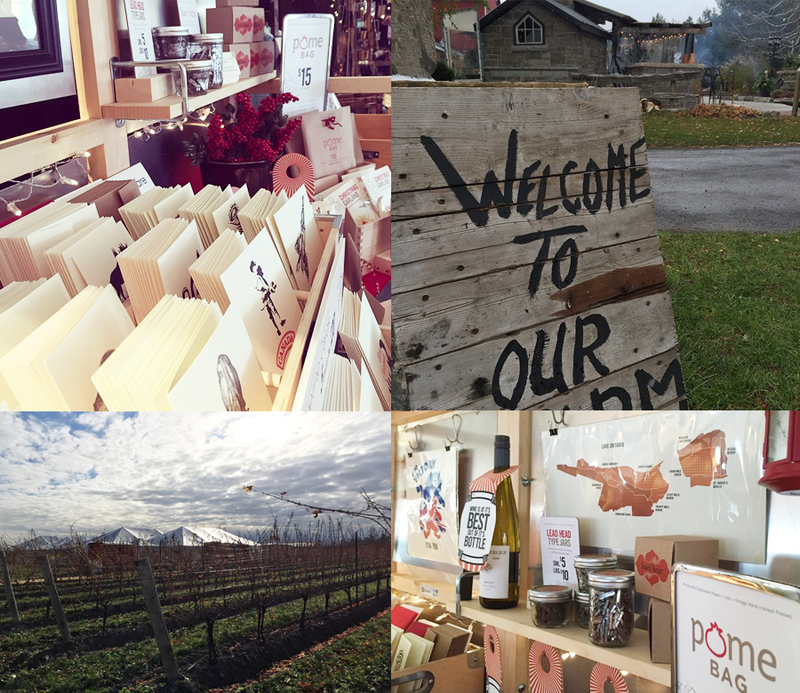 And we’re very happy we decided to go to the Handmade Market at Honsberger Estate winery with over 80 other artisans. The organization by Mark, Jennifer and their team was amazing. And our host winery was the perfect setting. Featuring the Sip and Savour Barn, a great outdoor wood burning pizza oven, the heated patio and fire pit seating to keep folks warm and cozy – all allowed for a huge number of people to move around easily, eat, drink, shop and enjoy the day. A big thanks to all who organized and worked behind the scenes. And of course a very big thanks to all who made it out and supported us and all the local artisans. The Handmade Market is an artisan market experience featuring products created and promoted by local artisans as well as delectable food and wine. The HandMade Market seeks to promotes the arts and offer a local shopping alternative in an upscale atmosphere. In a world where every dollar you spend could be a vote in favour of local business and against the oppression of workers in developing nations, the HandMade Market offers you an important opportunity to shop with a clear conscience and support local business and the arts at the same time! No homogenous, androgynous, thoughtless, big-box items here!